Bridgeport, a historic seaport located in Fairfield County in the largest city in Connecticut. The city has a population of 147,612 but it’s most popular resident was 19th century showman P.T. Barnum. Famously known for Ringling Brothers and The Barnum & Bailey Circus, two attractions started in 1871, Barnum was also mayor of Bridgeport. The Barnum Museum is a very popular tourist attraction. The city is also credited as the birthplace of the Frisbee. 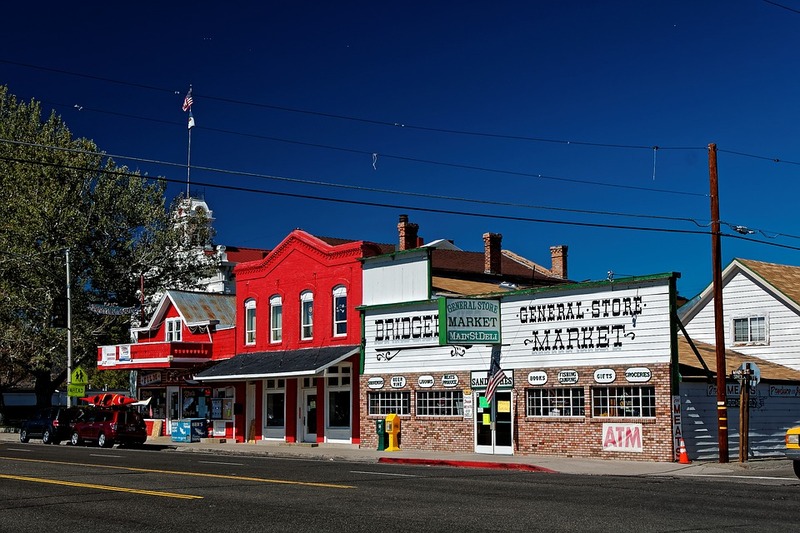 Bridgeport has been a part of many movie settings such as Die Hard with a Vengeance and Indiana Jones and the Kingdom of the Crystal Skull. TV shows like Family Guy have modeled their own cities after the historic city. In fact, the famous red and white striped smokestack seen on the Bridgeport Harbor Station, the last coal-fired power plant in the state, can been found in numerous TV shows and movies. While history and tourist attractions are abundant in Bridgeport, the crime rating is high with the city being recorded as the 3rd worst place to live in the state. Bridgeport is rated an 18, out of 100 where crime is concerned. With a median level income of $41,801 and an unemployment rate of 8.40 percent, crime stems from lack of employment as well as lack of education. Two very common problems seen in big cities across America. Where there is crime, there is also drugs. Drugs are common all over the United States and opioids are by far, the most popular. Opioids consist of heroin, prescription pain pills like Vicodin or Percocet or a synthetic drug such as fentanyl, usually created via an opioid. Typically, opioids are mixed with other drugs like cocaine making them even more lethal. Fatal opioid overdoses for Bridgeport comes in at 37 deaths in 2015 and 49 deaths in 2016. Nearby neighbor Hartford saw 62 fatal opioid overdoses in 2016. Between 2012 and 2015, there were more than 2,000 drug overdoses in the state. In 2016 alone, there were 917 fatal opioid drug overdoses in Connecticut. According to the Centers for Disease Control, three-quarters of fatal drug overdoses in the United States in 2016 were caused by opioids. In the state of Connecticut, more people die from opioid overdose than gun shootings or car accidents. With the opioid crisis reaching pandemic levels, many states have proposed new acts in an effort to stunt the use of opioids. The drug problem in the United States is steadily growing and researchers believe that at the current rate, fatal opioid overdoses will double by this time next year. Opioid addiction is a real problem and unfortunately, many teens are dying from that problem. In school, D.A.R.E, (Drug Abuse Resistance Education) used to be part of the curriculum just like Math or Science. Children were encouraged to sign a pledge not to do drugs. Though D.A.R.E was effective in raising awareness, the program has died out in many schools because it was deemed as “ineffective” toward children using drugs or alcohol. Awareness is the most important step to any movement because it teaches education. People live in a state of panic or fear when they do not know something and most people continue to travel down a certain path in their life due to anxiety and fear. Knowledge, education and awareness helps to alleviate anxiety and fear which allows people to take off the preverbal rose-colored glasses and see things for what they really are. Education and awareness is power. A common theme that the D.A.R.E. program also taught was the strength and courage to stand up and say something when someone else is using drugs. What people refer to as a “nark” in today’s society. It doesn’t matter how this act is seen because in the end, a life can be saved and that is far more important than being considered a “tattle-tale”. That is a young child’s game and opioid addiction is real. It takes strength and courage to stand up and fight for someone else and it takes the same courage for someone to stand up and fight for themselves against addiction. Everyone either knows someone who is addicted to drugs or is addicted to drugs themselves. The problem is that severe. While opioid addiction is a large problem in the United States, drugs as a whole have always been a major issue. Typically, drugs like heroin cocaine are more common because they are also cheaper. A bag of heroin on the streets can cost as low as $5 while a bottle of pain pills can cost as much as $80. Alternatively, pain pills are prescribed by a doctor so they are harder to get as well. Pain pills sell very well on the streets, many people take their own prescription and sell them. Watching another person struggle with addiction, especially someone that one cares for can be devastating. Bloodshot or glazed eyes-Someone who is addicted to drugs will have bloodshot or glazed eyes frequently. Dilated or constricted eyes- This is a common theme among drug users. The eyes can say a lot about a person’s health. Weight changes- Drug users will lose quite a bit of weight since drugs constrict the desire to eat. Though some drugs do cause weight gain. Physical signs-Drug users could bruise more easily or there will be noticeable and unexplained injection sites on the body. Mental signs- Depression, aggression, irritability, paranoia and anger can be associated with drug use. A sudden change in demeanor could be a sign. Social changes- A person doing drugs will typically withdraw in a social way, they will want to stay at home more or talk less. Though this is only really noticeable for someone who is naturally an extrovert. When approaching someone with the topic of drug addiction, it is important to be sure that a person is actually addicted to drugs. Having proof of drug use will go a lot further than the assumption that one is using drugs. Most often, people become offended when the topic is approached. Without proof of drug use, a loved one or friend may spiral further out of control. Emotional appeals are not helpful during an intervention experience so things like “If you love me, you’d quit” or “Do it for the kids” or any type of guilt-trip phrases can cause a person not to listen and clam up. Phrases that instill strength and courage toward a person is more helpful. Knowing that one cannot fix the problem all on their own is also important to share. Acknowledging that obtaining help is its own form of strength will go further than any guilt-trip. Lying or making excuses for oneself or the person addicted is too negative. This doesn’t mean that one should be brutally honest to the point of being hurtful. However, there are ways to be honest while still being positive. It’s important to understand that a person will deny drug addiction before they will admit to it, if at all. Patience is key in any type of intervention. Having a couple of rehab options available to share with a friend or loved one is good but should only be presented at the right time. During bouts of anger or denial is the wrong time to open up the rehab door. After a person has admitted that there is a problem, rehab should be more acceptable to talk about. Now is a good time to start talking about rehabilitation as a whole. Many times, people have a lot of anxiety when it comes to change and this anxiety instills panic and fear. Talking to a loved one or friend about the process of rehabilitation can help to calm their fears which will in turn, make them more acceptable to attending rehab. Assessments are the first step in the process of rehab because they provide the information necessary to find out what sort of treatment a patient needs. Since people are different, treatments have to be different too. Some patients will need detox while other patients can go straight into either inpatient or outpatient treatment. What type of drugs are being taken? When were drugs last taken? Is alcohol being taken as well? Are there any mental health disorders? Is there a history of drug addiction? Is the patient thinking suicidal thoughts or thought of self-harm? These are just a few questions that are asked. After a patient has be assessed, a patient usually goes through the intake step. This process can be wrapped into the assessment step. An intake dives deeper into a person’s history of drug use while also digging deeper into drug use. Generally, an intake involves physical exams and lab tests as well. A physical exam is necessary to make sure that a person’s body can withstand detox because withdrawal symptoms can be taxing. Lab tests, more specifically a urine test, will provide a doctor with all the drugs that are in a patient’s system. A patient will then be admitted to the facility and given a list of items that are not permitted in the facility. Usually, these items are the same for every facility. However, some rehab centers have their own exceptions. During the assessment or intake period, financial arrangements should be made as well. Some rehab facilities will make these arrangements after treatment. For employees, it is important to look up insurance policies because some do cover drug rehabilitation costs. Some drug rehab facilities also work on a sliding scale so that a certain amount can be paid depending on a person’s financial stance. The next step is detox unless a patient has been recommended for inpatient or outpatient treatment. Detox cleanses all drugs from the body. This can take a few days or even a week. In some cases, it can take longer. Cleansing the system can be hard for the body depending on what types of drugs were used. Opioids cling to the body really well causing some harsh withdrawal symptoms. Each person is different so what one person may experience another person may not. Withdrawal symptoms range in intensity based on various factors. How long a person has been doing drugs? What type of drugs were taken? For patients who are having a very hard time with withdrawal symptoms, doctors may prescribe a medication to help. Typically, this comes in the form of Methadone. Methadone is a drug that helps to decrease cravings for 24-36 hours which in turn helps these symptoms to decrease as well. However, there are several different options available when it comes to withdrawal medications. Treatment options are dependent on what the doctor and psychiatrist recommend. Some patients are cleared from outpatient treatment but for those who are recommended for inpatient treatment start with RTC. Residential Treatment Center (RTC) is a program within the facility that typically lasts 28 days. However, there are instances where the program can go on longer. It really depends on what the patient’s drug experience, drug history and mental health look like. RTC implements a series of different therapies that help a patient to understand why they started using drugs to begin with. Sometimes, drug addiction stems from a point in a person’s life where trauma was induced. This could be through active duty during a war, a childhood trauma or a trauma that occurred as an adult. Sometimes people find comfort in drugs to avoid the pain of trauma. In other instances, people become addicted to drugs after they have had surgery or an accident. Doctors prescribe patient’s medication to help with the pain. The pain pills run out before the pain does and therefore, people desire another refill. Often times, doctors will prescribe another one. This leads to the cycle of addiction. A patient gets a prescription or experience drugs for the first time (Initial Use). A patient gets another prescription to help with pain (Abuse). A patient needs another refill and this time, needs a higher dosage (Tolerance). A patient is either no longer in pain or is in manageable pain but still needs a refill because their body is no longer able to function without it (Dependence). For some patients, the cycle ends here. Other patients are at risk for addiction, a chronic mental health disorder where a patient starts to have withdrawal symptoms when they stop using a drug. This can lead to the last part in the addiction cycle, relapse. Relapse is when a person has obtained help for their addiction, become sober and then chose to drink or do drugs again. RTC will cover all of these things to help a patient understand their addiction inside and out. RTC will also help a patient to understand trigger points. Trigger points are moments where a patient smells something, hears something, feels something, etc., that takes them back to a moment in time where they felt stressed, sad, fearful or angry that causes the desire to do drugs or drink alcohol. Coping skills, a list of small hobbies will be addressed during RTC to help work through trigger points so they do not cause a relapse. RTC will also allow a patient to have a list of things they can do during the day from group therapy to yoga to meditation to help calm the mind and body during its transition from addicted to sober. Partial Hospitalization Program (PHP) is a program that still takes place in the facility but is considered an outpatient treatment. Patients stay at the facility for up to 6 hours a day, 5-7 days a week. During which times, coping skills and trigger points are continuously addressed and group therapy becomes more of a focus point. Individual therapy is still a huge part of the healing process as well. PHP introduces the scenarios a patient will be met with after they have been released from rehab. Aftercare comes after a person has been released from all programs but is introduced in all stages of treatment. A person who is in a drug rehab center will hear a lot about after care because this is the times when a patient flies solo. Granted, patients do not fly completely solo. There are sober living houses and halfway houses designed to help a patient to avoid relapse. The world can be a very demanding place and a person who is fresh out of rehab can feel very intimidated by it. Sober living house and halfway houses can help patients gain a foothold on their life to ensure they stay in land of recovery verses falling into relapse. Support groups are also a big part of aftercare. Patients straight out of rehab go through the different outpatient treatments such as PHP and IOP to help ready them for their life after rehab. However, since flying solo can be overwhelming, support groups help provide structure and stability to make sure a person doesn’t resort back to drugs and/or alcohol during a weak moment. Support groups have people enduring the same battles so there is no better place to be. Sponsors can be found in these groups as well. Sponsors are people who have already been through rehab and have many years of sobriety under their belt and can help someone else to stay clean and sober. Taking up a hobby is also important in aftercare because it keeps a person busy. Idle times usually make a cause for desperate choices. A hobby can help one to stay busy so that positive choices are made instead. Hobbies can include but are not limited to: sewing, cooking, stamp collecting, taking up sports, learning a martial art, etc. Anything that creates positivity and helps a person to stay on their sober path in a great way to help to prevent a relapse. So, going back to school or going back to work can be helpful too. It’s just important not to do anything that will cause a lot of stress because those are not reliefs, they are stressors which can lead to a relapse instead of preventing one. Addiction, specifically opioid addiction has marked it’s claim on many people’s lives and is causing a significant number of fatal overdoses annually. Drug rehabilitation is great way to prevent addiction from claiming even more lives. Raising awareness can prevent people from using opioids altogether. Use your voice, stop opioid addiction.